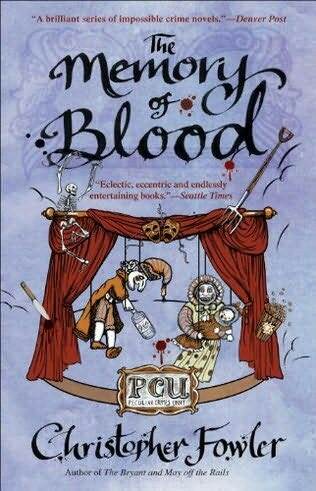 Earlier this week we attended the launch for Christopher Fowler’s new Bryant & May novel Memory of Blood. The launch took place at Goldsboro Books located in Cecil Court and as usual, the hospitality of both the staff on duty and Mr. Fowler’s publishing team (Doubleday/Transworld) was beyond reproach. We all mingled over wine and snacks chatting away, whilst ogling all the gorgeous signed limited first editions on display throughout the store. I may have succumbed to buying one. Soon, Christopher’s editor, Simon gave a lovely speech about how much fun it is working with Christopher and how he continuously looks forward to receiving that new manuscript, on time, and in pretty good shape. After Simon’s speech, Christopher gave one himself and as someone who has never met him before, I was struck by how genuinely charming and generous he seemed. He thanked his partner, all of us in attendance along with his publicity person, Lynsey Dalladay, for making Bryant & May so popular and fun. Then he begged off more speechmaking and we all went back to chatting. 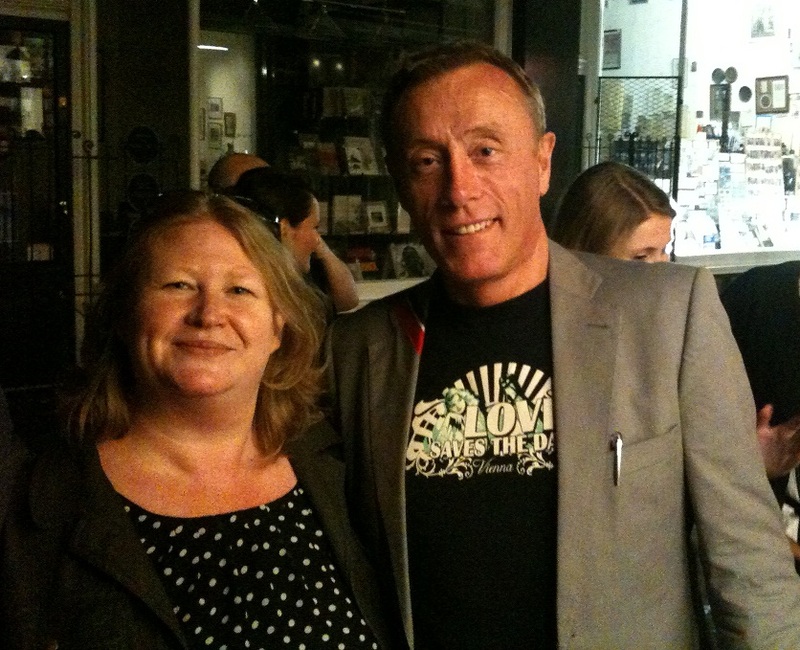 Towards the end of the evening, I managed to get a hug and a kiss from Mr. Fowler, the charmer! It was a terrific evening and it was great to see so many fans in attendance. Until next year! 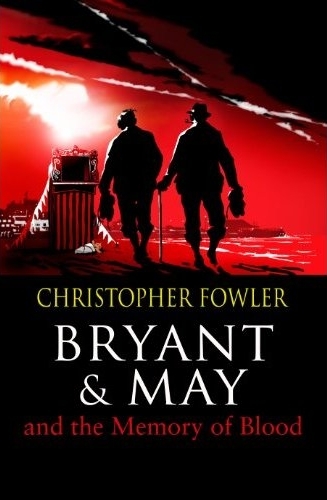 Bryant And May: More Books! Christopher Fowler Pleads Guilty — To Genius! Most kind! It was a pleasure to meet you, Liz. It seems like an age ago now. I’m pretty sure I don’t have that T-shirt anymore, which is a shame as if came from a shop in Vienna called ‘Love Saves The Day’!